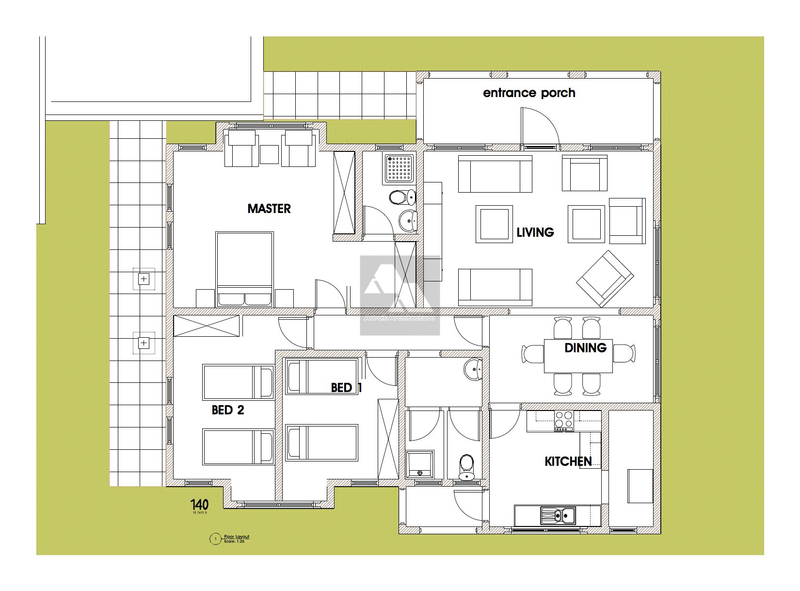 The lounge, the dining area and the kitchen are designed in a modern open plan set up, allowing lots of open space and free interaction in that area. 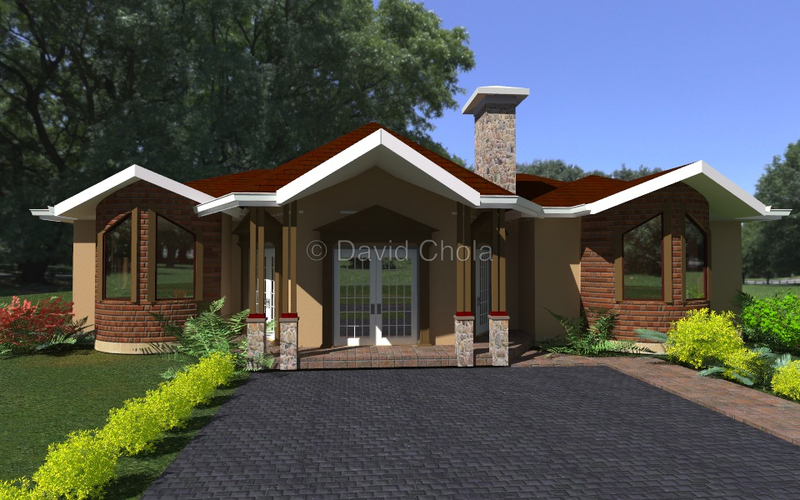 There is a big need for that simple but elegant 3 Bedroom Bungalow House Plan for families and individuals who want to build a comfortable home on a tight budget. 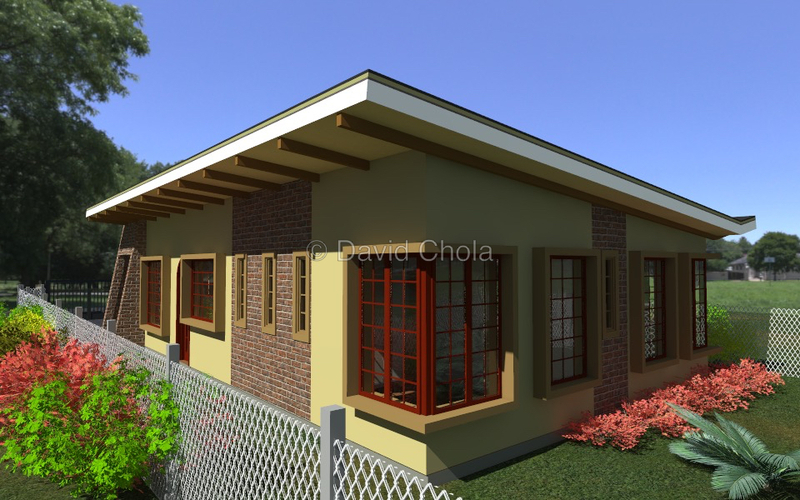 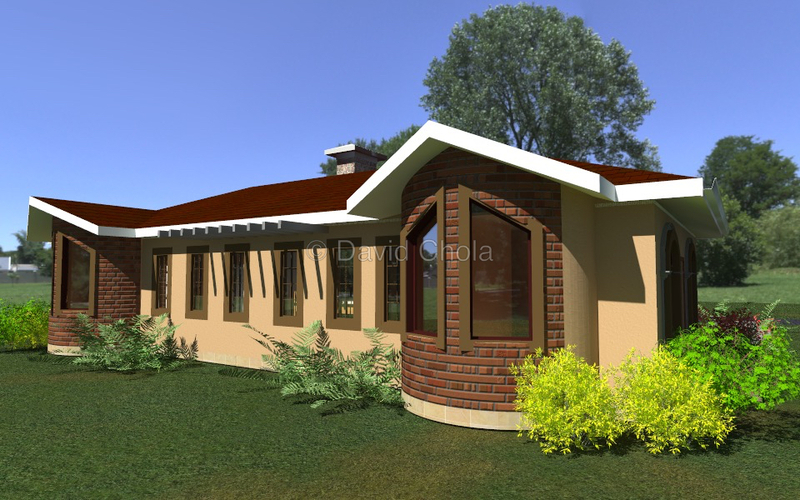 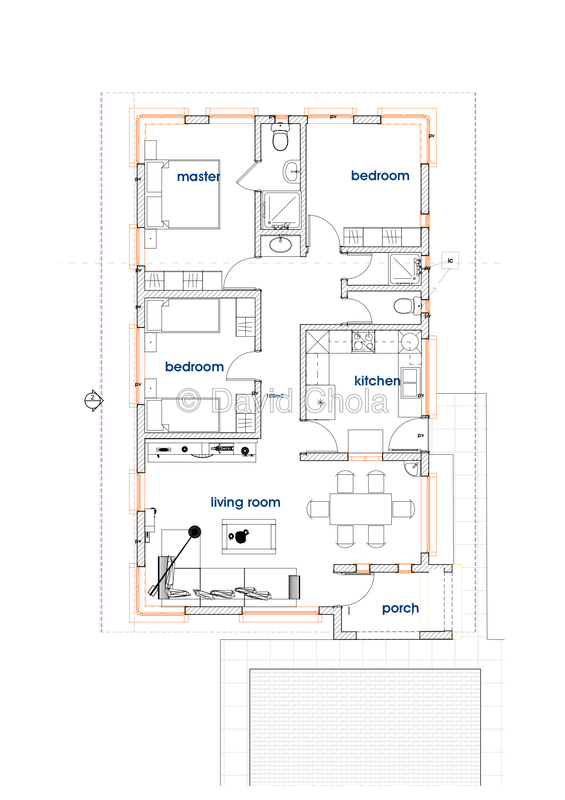 The Rumba 3 Bedroom Bungalow house plan is a simple house plan that is well organized to create space and comfort for a small family home. 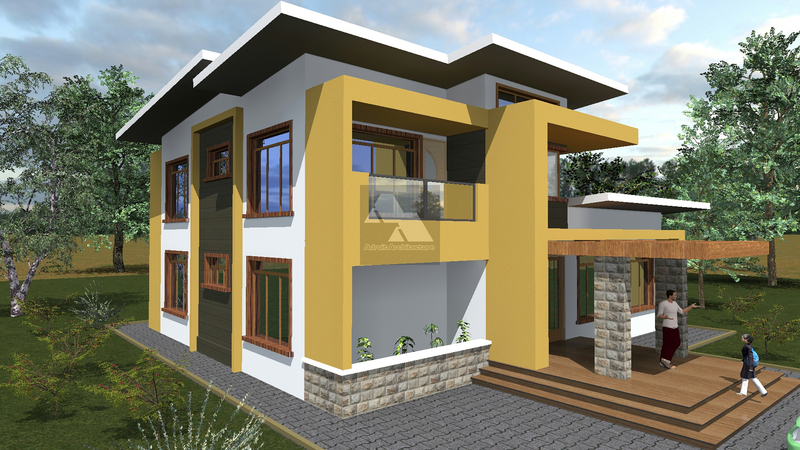 It is an ideal tight budget home that is excellent for first time home owners who prefer to construct their home as opposed to buying a ready made home. 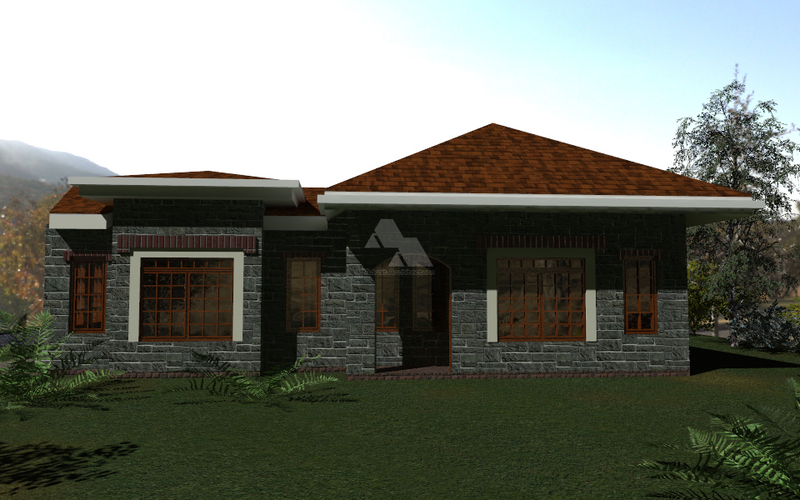 And the Contemporary 4 Bedroom House Plan, the dream home for many families. 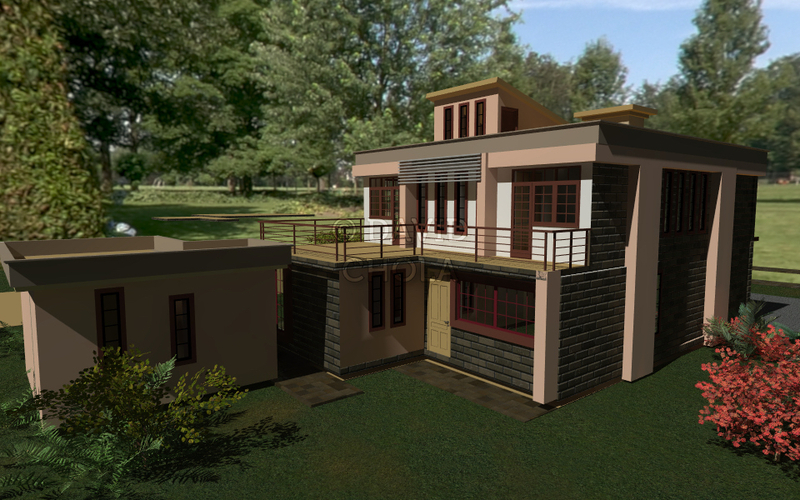 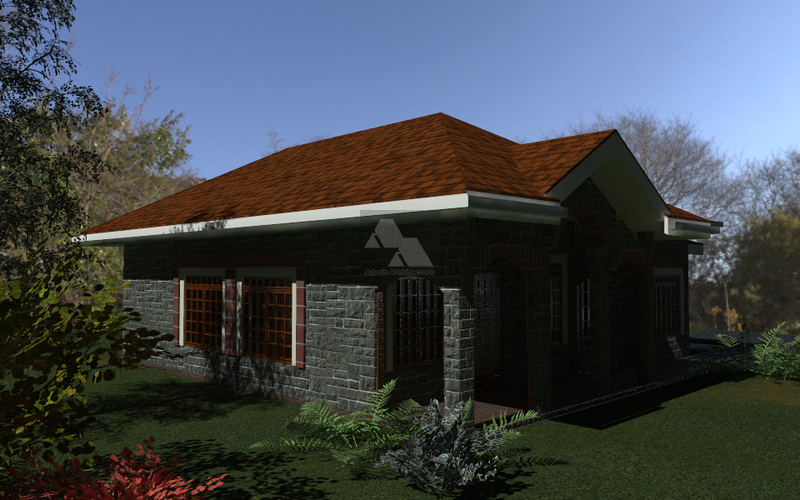 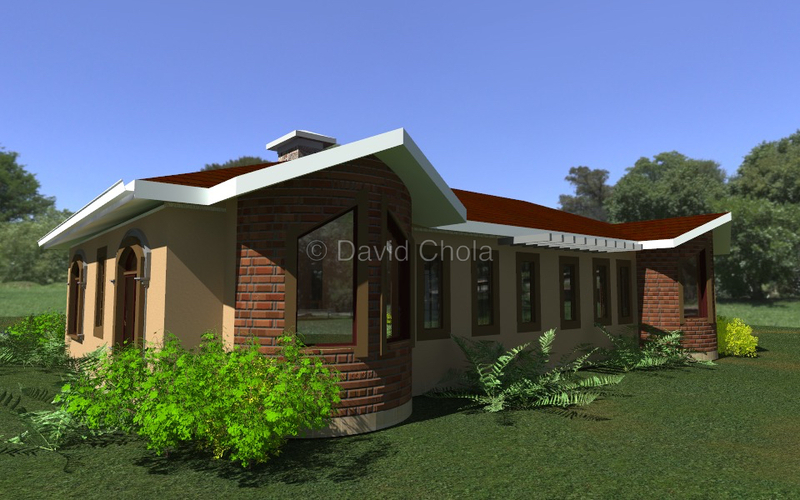 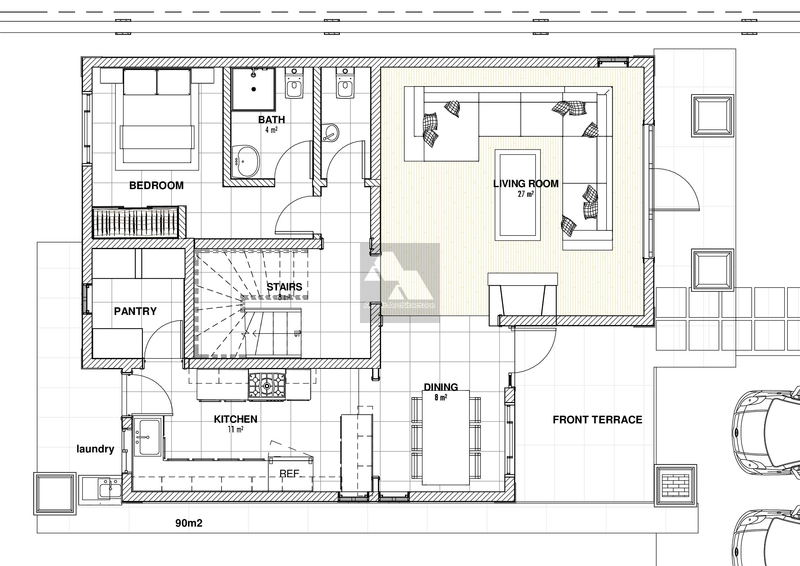 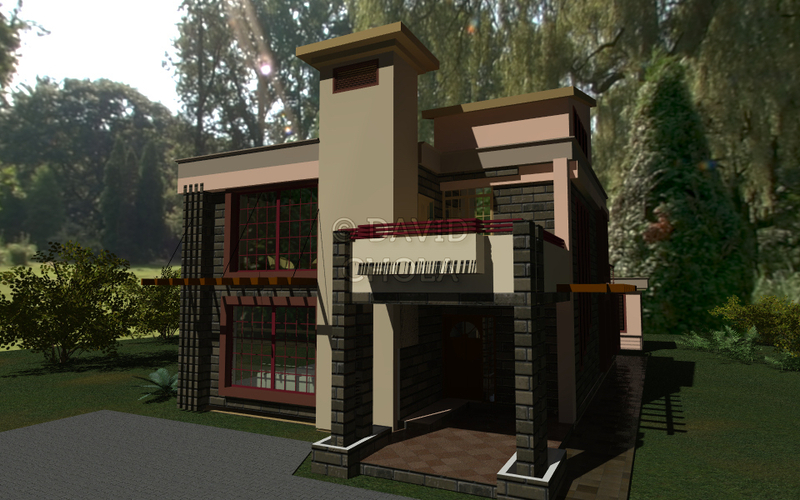 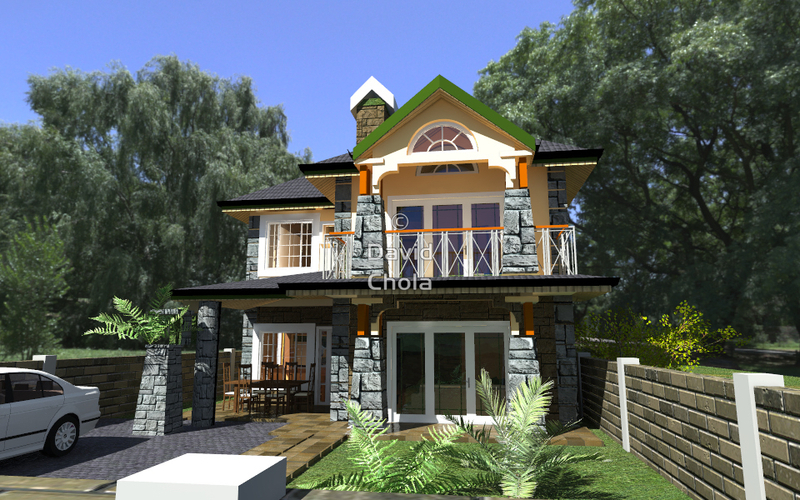 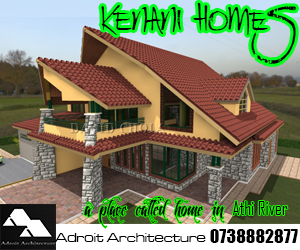 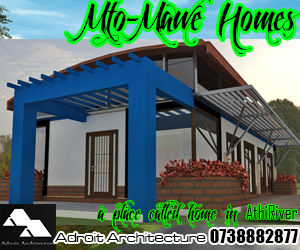 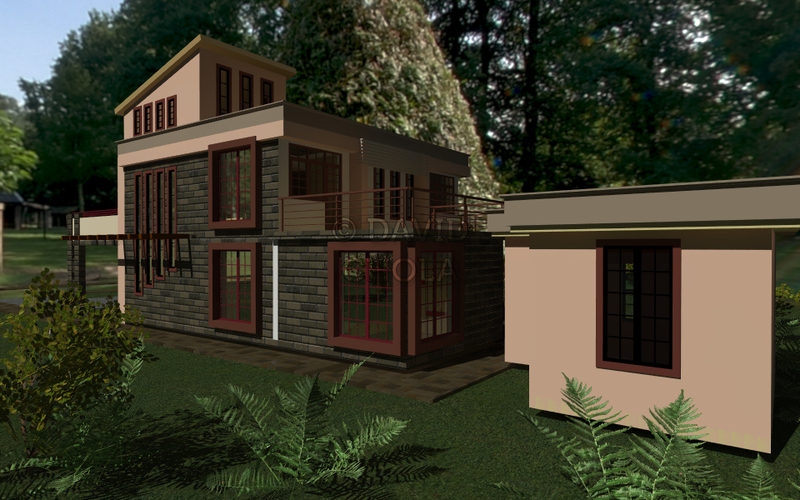 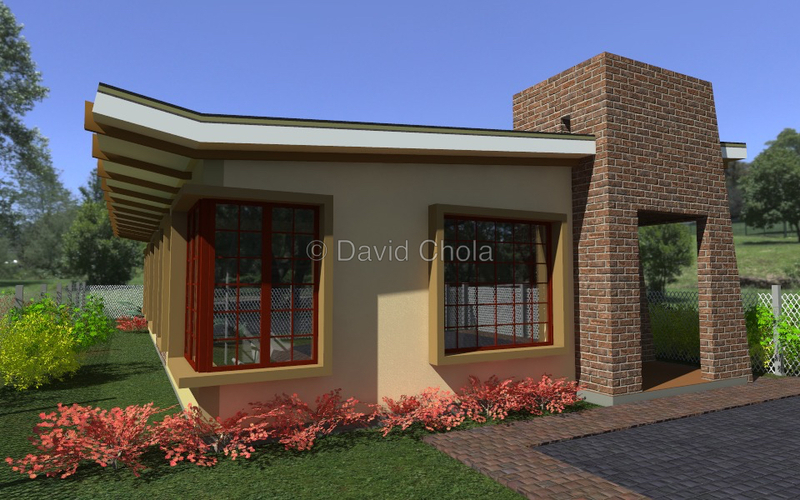 More and more people are attracted to the contemporary house plan in Kenya. 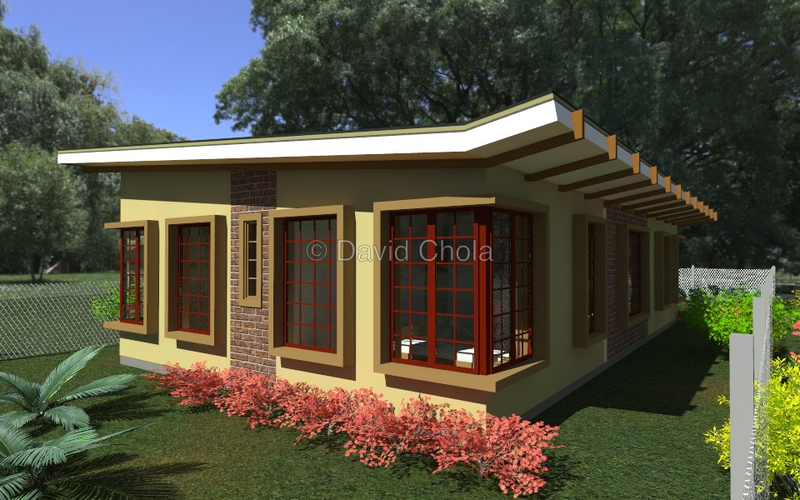 It offers a new look, different from the standard pitched roof houses, offering a whole new set of advantages and space utilization. 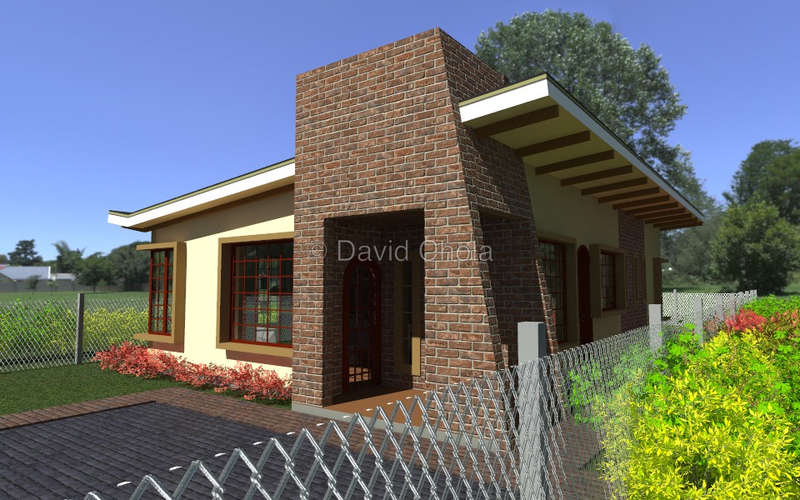 This family house features 4 spacious, all en-suite bedrooms, with views to the back and to the front of the house. 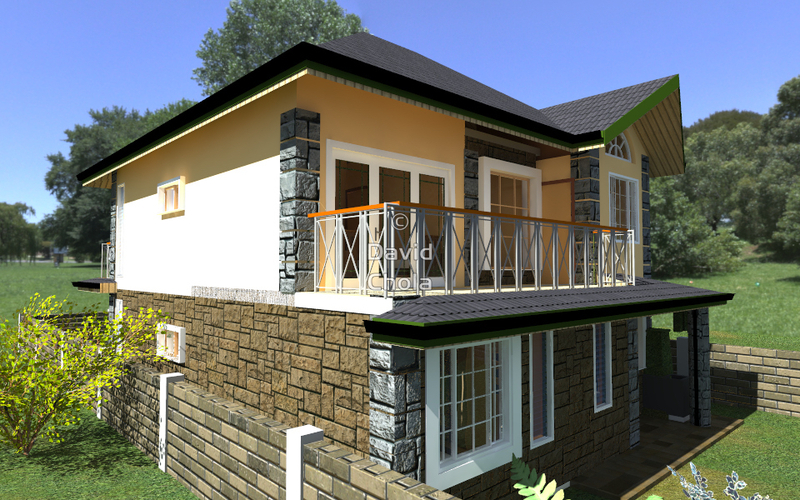 The 2 bedrooms upstairs have spacious balconies. 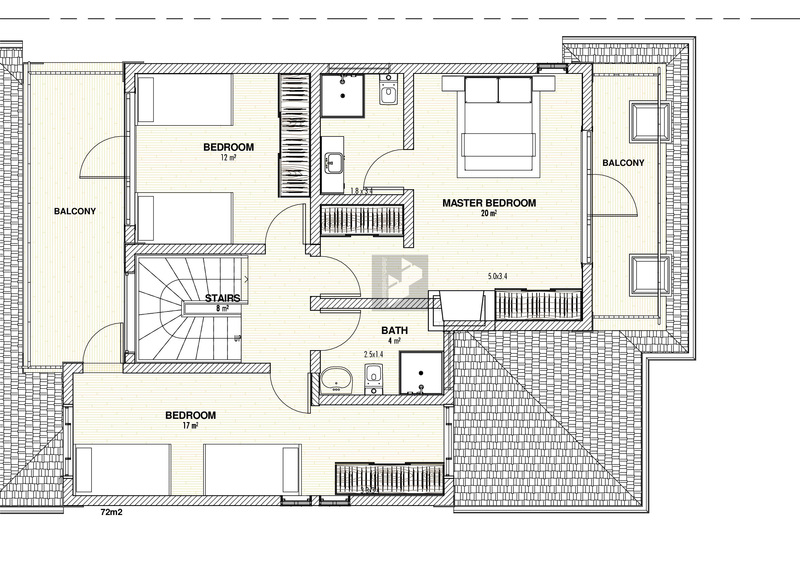 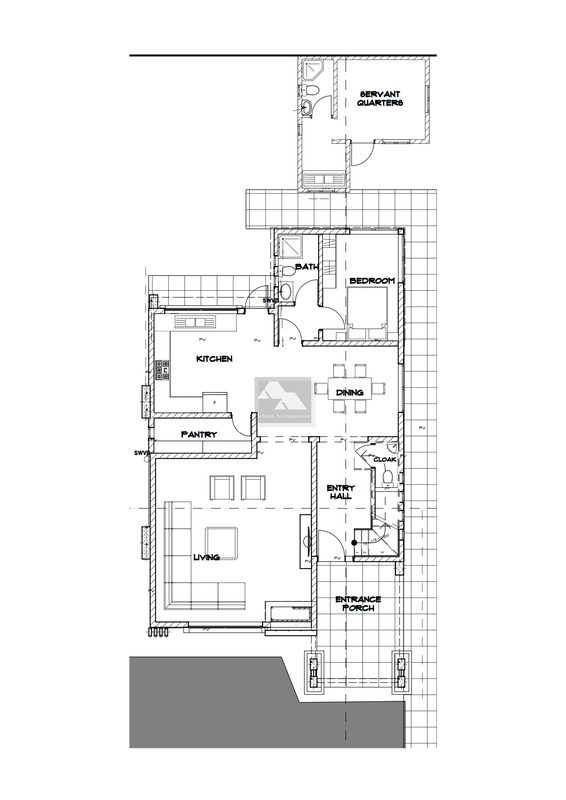 1 bedroom on the upper floor and 1 bedroom on the lower floor have walk in closets. 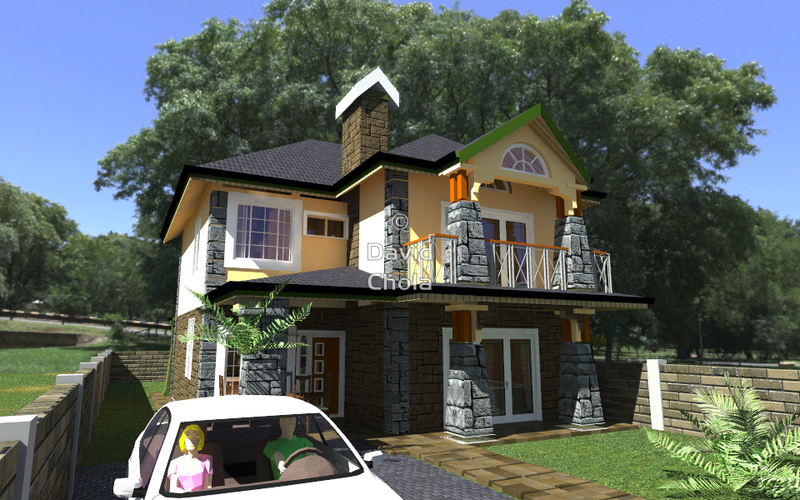 This Supreme 4 Bedroom House Plan is yet another simple but truly elegant 4 Bedroom Maisonette. 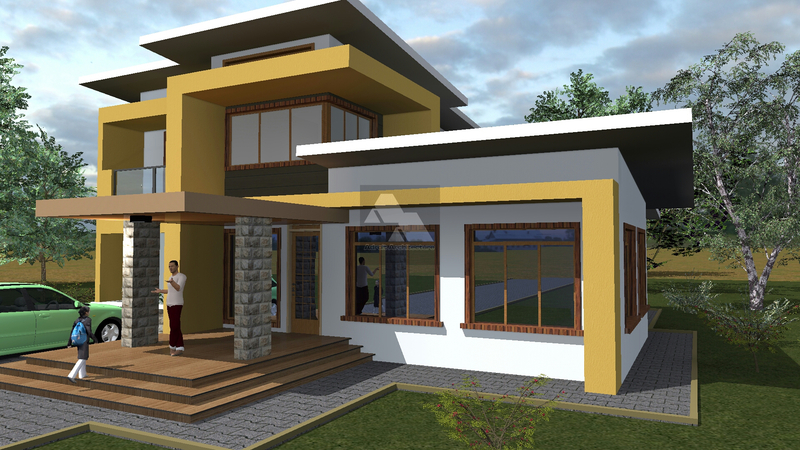 There is a big demand for simple but elegant house plans that allow the average family who are working with a limited budget build a home that they are proud of. 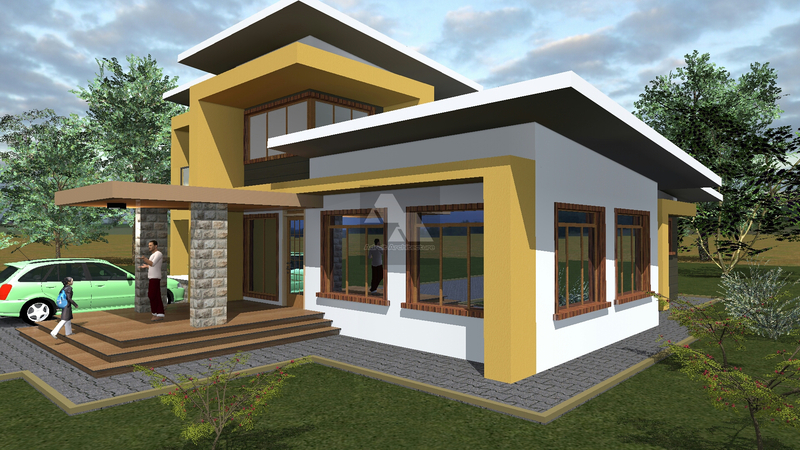 The Contemporary Concise 4 Bedroom House Plan is inspired by the fact that many clients have to work with small pieces of land. 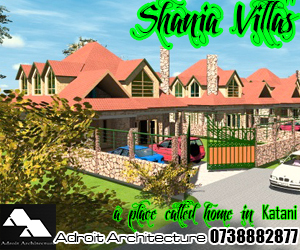 Even when a plot of land is sold as an eighth acre, you may be surprised to discover that it is not a perfect eighth. 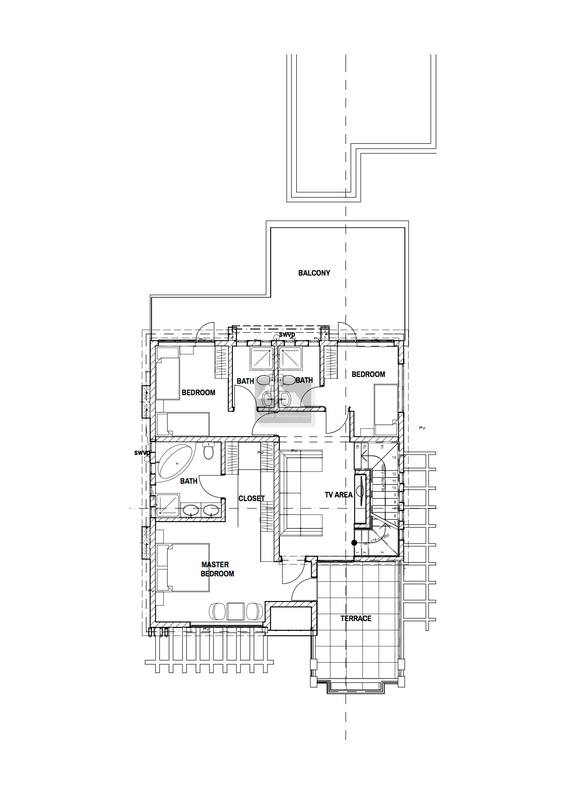 This mainly happens as a result of roads that are carved out when plots are being sub-divided. 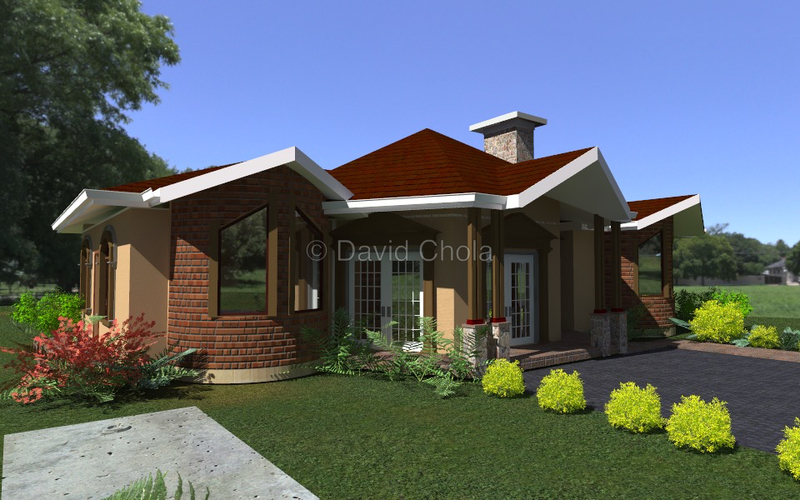 County government’s regulations also specify the plot setbacks (the distance between the plot boundary and the house) and the setbacks are usually different in every county. 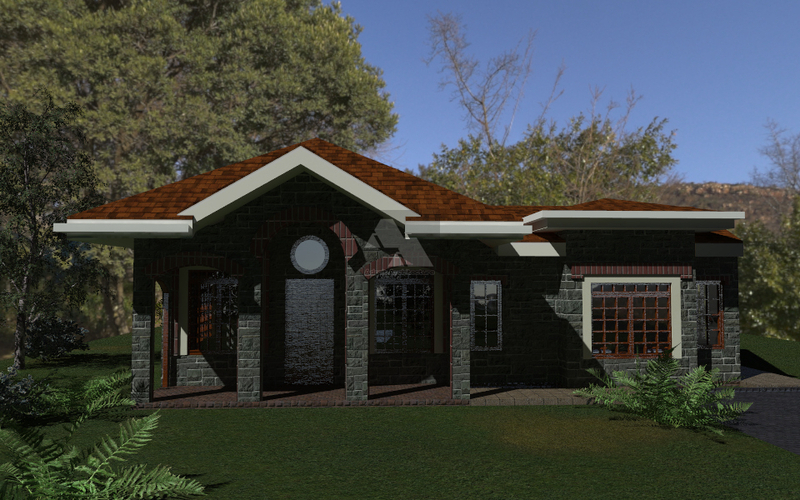 In some counties, the specified setbacks can sometimes reduce the foot print on which one build their house.